Let them know you are thinking of them! This stylish gift basket is perfect for the health fanatics! 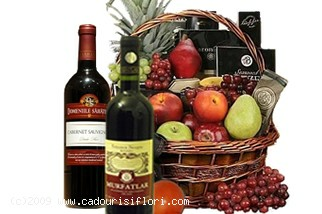 Send this gift of fresh fruits to Romania now! Arata-le ca te gandesti la ei! Cosul cadou este perfect pentru cei ce tin la sanatatea lor si care iubesc fructele!